An antiviral agent, nucleotide analog reverse transcriptase inhibitor. Tenofovir is converted in vivo to tenofovir, nucleoside analogue (nucleotide) adenosine monophosphate. 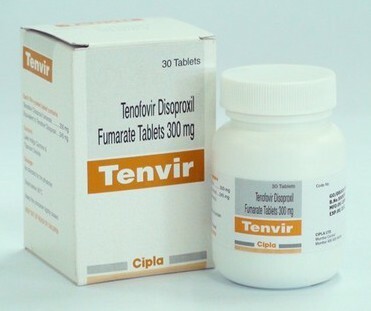 Tenofovir is subsequently converted into the active metabolite – tenofovir diphosphate, which inhibits reverse transcriptase activity of HIV-1, incorporating into the viral DNA molecule and chain disrupting DNA synthesis. Tenofivir is a weak inhibitor of DNA polymerases α, β, and mitochondrial DNA polymerase γ mammals.